In the 2017 Indianapolis Business Journal (IBJ) “Forty under 40” list, 24 of the honorees – 60 percent of the entire group – received an IU degree. IBJ received more than 300 nominations, the most in the 25-year history of the list. The complete roster included the following SPEA alumni: Peter H. Dinwiddie, BSPA’99, of Indianapolis, vice president of basketball operations with Pacers Sports & Entertainment; Mark D. Fisher, Cert’03, MPA’05, chief policy officer with the Indy Chamber; Ryan K. Brady, Cert’03, MPA’05, director of stewardship and adviser to the Glick Philanthropies, Central Indiana Community Foundation; and Nadia Nguyen Adams, BS’08, MHA’10, chief operating officer at the Center for Health Innovation and Implementation Science in the IU School of Medicine. The City of Bloomington Office of the Mayor honored Doris Sims, BSPA’79, MPA’98, with the 2017 Black History Month Living Legend Award in recognition of her dedication to public service. Sims is most recently the director of Housing and Neighborhood Development for the City of Bloomington. SPEA IUB presented its 2017 Distinguished Graduate Alumni Award to Vicki E. Allums, MPA’86, associate general counsel of intellectual property in the U.S. Department of Defense. “In August 2016, I became the compensation specialist in the human resources department of the Allen County (Ind.) government,” writes Thomas C. Fox, BS’81, MPA’90. He lives and works in Fort Wayne. Leslie Haynes-Gaudreau, BSPA’83, MPA’86, recently relocated back to Indianapolis to accept a position as Compensation Manager for Community Health Network. Ranked among the nation’s most integrated healthcare systems, Indianapolis based Community Health Network is Central Indiana’s leader in providing convenient access to exceptional healthcare services. In 2016, Michael J. Hudelson, BS’86, MPA’88, moved from director of sales for intellectual property solutions at LexisNexis/ Reedtech to director of product planning. He is responsible for new product development and existing product management of web-based tools for patent professionals. Hudelson lives in Miami, Fla.
Last spring, loyal Hoosier fans John D. Martin, BSPA’89, and his wife, Sharon (Turchan), BA’89, shared the following story: “We were married 25 years ago in November 1990. After the Oaken Bucket game earlier in the day, IU played in the Maui Classic that evening (game time was 12 midnight!). After a great wedding and reception, we were tucked away in bed and turned on the TV to watch the Hoosiers! (John stayed up and Sharon fell asleep!) John said he had to ‘set the tone’ for our marriage! Flash forward 25 years later . . . We decided to join the team in Maui and celebrate our 25th anniversary. The second game on Nov. 24 had extra meaning for us, as it was on our anniversary day.” The couple owns Martin Direct Marketing, a marketing company based in Greenwood, Ind. One of their clients is the Indiana University Alumni Magazine. John F. “Jeff” Richardson, BA’73 College of Arts & Sciences, JD’77, MPA’81 received the 2017 Indiana University Distinguished Alumni Service Award (DASA), the highest accolade at IU reserved solely for alumni. Awardees are leaders in their chosen field and make significant contributions benefiting their community, state, nation, or university. Richardson is an emeritus member of the SPEA Distinguished Alumni Council. In January 2017, Gregory A. Chesmore, MPA’99, was named vice president of U.S. government relations and policy for global biopharmaceutical company Celgene. Chesmore leads the firm’s federal and state government relations, public policy, and public affairs efforts. Now in his tenth year with Celgene, Chesmore previously served as the company’s executive director of state government relations. Prior to joining Celgene, Chesmore served eight years with the U.S. Centers for Medicare and Medicaid Services. He lives in Madison, Wis.
SPEA IUB presented its 2017 Distinguished Undergraduate Alumni Award to Matthew M. Gentile, BSPA’95, a principal at Deloitte Financial Advisory Services in Washington, D.C, where he leads Deloitte’s federal analytics practice. Gregory Shane Gibson, BSPA’96, is the first full-time environmental education director for Sycamore Land Trust (SLT) in Bloomington, Ind. The SLT education program served more than 3,500 participants of all ages and abilities in Gibson’s first year on the job. Previously, Gibson was the environmental education director at Bradford Woods, Indiana University’s Outdoor Center, from 2006 to 2010, as well as an elementary school teacher and a licensed real estate broker. Michelle L. Hartnett, MPA’96, is board chair of the Alpha Xi Delta Foundation, one of the oldest sororities in the United States. She leads the national fraternal foundation board of trustees in its annual and regular board meetings, helps shape and guide the foundation’s strategic vision, provides ongoing foundation oversight, partners with foundation staff to prioritize fundraising goals and to establish action plans, and represents the foundation at annual meetings, national conventions, national fraternal fundraising conferences, and special events. She previously served as the organization’s vice chair. In August 2016, Alexander D. Ihnen, BAJ’99, MPA’05, was named executive director of Dutchtown South Community Corporation, which promotes business and neighborhood vitality in the Greater Dutchtown area of St. Louis through community empowerment, housing stabilization, and real estate development. He is the founder and editor of nextSTL.com, where he wrote about changes in St. Louis’s environment, politics, and policies. Recognized by ALIVE magazine as a St. Louis thought leader, Ihnen has an extensive background in fundraising and community engagement. Amy Mack, MSES/MPA’93, has been appointed as the chief operations officer at The Institute for Functional Medicine. Amy is the immediate past chair of the SPEA Distinguished Alumni Council and was the 2016 SPEA IUB Distinguished Graduate Alumni Award recipient. Lucinda A. Nord, BA’91, MPA’00, now leads the Indiana Library Federation, the state association for academic and public libraries, school librarians, and trustees of public libraries. Nord is a recognized leader with Indiana nonprofit organizations, having served as the first executive director for Indiana 211 Partnership, and most recently, as vice president of the Indiana Association of United Ways. A frequently requested presenter about nonprofit and human service issues, Nord also teaches on the SPEA IUPUI campus. “I relocated from Seattle to Spokane, Wash., in September 2016 and became the director of marketing at Denver-based ISM,” writes Travis L. Scott, BSPA’98. ISM supplies pneumatic, fluidic, and medical components worldwide. Dave Tinker, CFRE, MPA’95, was recently named to the inaugural class of the International Distinguished Fellows Program of the Association of Fundraising Professionals (AFP). This program spotlights individuals who have made significant leadership contributions to the philanthropic and fundraising professions. Tinker is one of six fellows from across the globe. Tinker is vice president of advancement at ACHIEVA and is an adjunct professor of informatics at Muskingum University’s Master of Information Strategy, Systems and Technology program. AFP members with at least 15 years in the profession are eligible for nomination and are evaluated upon professional recognitions, employment history, publications, speaking history, AFP memberships, honors, and activities. Jason Dudich, BSPA’01, was appointed as the budget director for the State of Indiana by Governor Eric Holcomb. Dudich served as a benefit advisor with LHD Benefit Advisors, LLC, consulting and advising public and private sector employers on employee benefit plans and services. Prior to his work at LHD, he served as the chief of staff to Indianapolis Mayor Gregory Ballard. Dudich also served as the controller of the Consolidated City of Indianapolis, Marion County, and as the director of the Office of Financial Management. He has also served as the associate commissioner and chief financial officer for the Indiana Commission for Higher Education. He is a member of the SPEA Distinguished Alumni Council. Laura Gatz, MSES/MPA’02, recently accepted a position as an analyst in environmental policy at the Congressional Research Center. Gabe Gloden, MPA’07, is the managing director of the Cardinal Stage Company in Bloomington. Gloden has spent the majority of his career developing arts and culture organizations, such as serving as managing director of Bloomington Playwrights Project and Boise Contemporary Theatre in Idaho, as well as development and community engagement officer at Wayne State University Press. Holly Johnson, BSPA’00, was named the chief advancement officer for Culver Academies and Culver Summer School and Camps. She previously served as vice president of development for the Indianapolis Symphony Orchestra and is a member of the SPEA Distinguished Alumni Council. Jamie Wershbale Karpman, BSPA’05, an attorney-advisor in the Office of General Counsel at the U.S. Department of Housing and Urban Development in Jacksonville, Fla., recently authored the article, “The underappreciated value of having a sponsor,” in the Jacksonville Daily Record. Her role is to effectively counsel and advise the department’s various program offices on issues of regulatory compliance and the legal implications of interests and contracts affecting insured and subsidized projects and programs. Available at: jaxdailyrecord.com/showstory. php?Story_id=549241. Scott Nass, MD, FAAFP, MPA’00, was selected as an inaugural George Washington University Leaders for Health Equity Fellow. The program honors health sector professionals committed to health equity who demonstrate leadership potential. The fellows were selected from a competitive applicant pool from the United States and other countries. Vladimir Pigenko, Ph.D.’01, is now working as a professor at the American University of Afghanistan teaching public administration and democratization courses. A doctoral student under Professor Charles Wise, Pigenko graduated from the joint Ph. D. program with Political Science. He worked with Professor Wise on the Parliamentary Development Program for Ukraine, first as a graduate assistant in Bloomington and then as a Program Officer in the Kiev office working with the Parliamentarians. Travis Smith, CFRE, BSPA’09, MA Philanthropic Studies ’13, is the director of development for the Noble County Community Foundation in Ligonier, Ind. Previously, Smith served the IU Foundation as an associate director of regional development. City of Bloomington, Indiana Mayor John Hamilton appointed Adam Wason, BSPA’02, Certificate Public and Nonprofit Administration, to fill the position of director of public works. Wason began his tenure at the city as an intern during his undergraduate and graduate studies at SPEA. In the years following, he served in several full-time roles including public affairs specialist with the City of Bloomington Utilities, assistant director of economic and sustainable development, communications director, and deputy mayor. Chelsea Ahting, MPA’16, is a budget management analyst at the Office of Management and Budget, Prince George’s County, Md. Casey Z. Crandell, MPA/MS’16, recently accepted a position with the U.S. General Services Administration in Washington, D.C. He joined the organization’s Emerging Leaders Program, a three year semi-rotational program with an automatic promotion ladder. Crandell is a program analyst with the Alternative Fuel Vehicles Division of the Fleet Management Office, where he is a member of a small team charged with managing all the hybrid, electric, and biofuel vehicles in the federal fleet, and promoting greater use of those vehicles across the federal government. Leigh Anne Elliott, MPA’16, is the events and education manager for the Network of Schools of Public Policy, Affairs, and Administration in Washington, D.C.
Allison Farr, BSAM’14, MPA’15, is excited about her new position as the foundation coordinator with the Alpha Chi Omega Foundation in Indianapolis. R. William Gardner, JD/MPA’12, has joined Taft Stettinius & Hollister’s Indianapolis office as an associate in the environmental group. 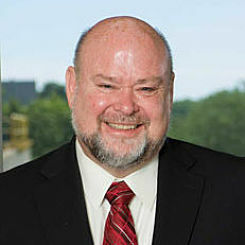 Gardner’s experience includes representing clients in environmental matters before administrative agencies and in court, advising the regulated community regarding their legal obligations under a variety of environmental laws, helping clients evaluate environmental liabilities in real estate and business transactions, and working with environmental consultants and clients to manage remediation projects. Abby Henkel, MAAA’11, is the communications director at the Sycamore Land Trust. The Sycamore Land Trust is a regional nonprofit organization dedicated to preserving land for future generations. Shelby Jade Hoshaw, BSPA’15, is the office manager at the Conservation Law Center, which is a part of the Indiana University Maurer School of Law in Bloomington. Alyson C. Jordan, MPA’11, and Steven R. Tomaszewski, MPA’10, were married in Brookfield, Ill., in July. Jordan is a senior consultant at management consulting firm Booz Allen Hamilton in the greater Washington, D.C., metro area. Tomaszewski is a space action officer at the communications and networking firm LinQuest and a joint staff intelligence officer in the U.S. Air Force Reserve. They live in Arlington, Va.
Carrie (Sosbe) Kelly, MPA’14, accepted the position of director of college advancement at Mohave Community College and executive director of the Mohave Community College Foundation in Kingman, Ariz. Mohave Community College has four campuses – in Kingman, Bullhead City, Lake Havasu City, and Colorado City (Ariz.). At the 2016 Summer Olympics, Cody Miller, BSPA’15, won a bronze medal in the men’s 100 meter breaststroke and a gold medal in the men’s 4 x 100-meter medley relay, in which he performed the breaststroke leg of the final. In June 2016, Kelly A. Wallace, BA’10, MA/MPA’16, of Indianapolis, and Tetlu Andrew Mying of Rangoon, Myanmar, were married in Camby, Ind. Wallace works as a club support analyst for Kiwanis International, liaising closely with members of the Kiwanis Service Leadership Programs department. She helps to develop supporting goals, strategies, and plans in order to achieve the vision, mission, and objectives of Kiwanis International. The couple lives in Indianapolis. Jessica L. Wechter, MPA’10, has joined the National Education Association Foundation’s leadership team as special assistant to the president. The foundation is a public charity that supports public school educators and their students. Wechter served most recently as program manager for Grantmakers for Effective Organizations, where she was responsible for content development, program design, and project management for GEO’s conferences. Wechter lives in Takoma Park, Md. Jessica Harbison Weaver, MPA’13, recently accepted a position at the University of California, Riverside, as assistant athletics director for compliance services. She was previously at Mercer University in Macon, Ga., as assistant athletic director for compliance. 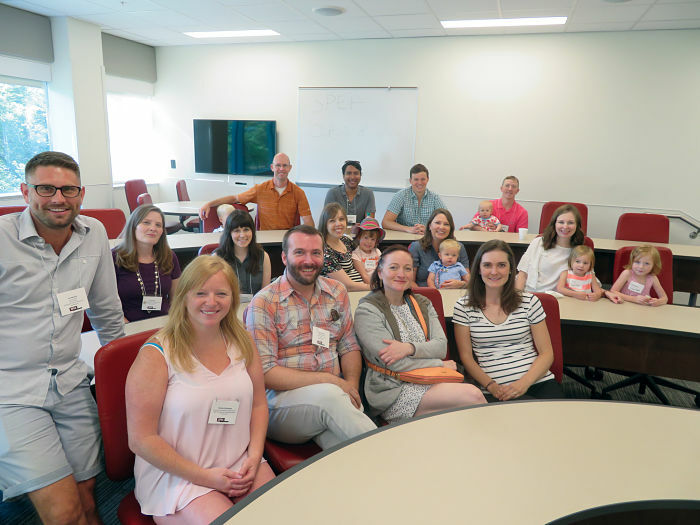 Amanda (Shine) Zambrano, MAAA’10, recently accepted the position of grant writer and donor relations specialist at Houghton College in Houghton, N.Y.
SPEA hosted members of our 2007 class of master’s students and their families. 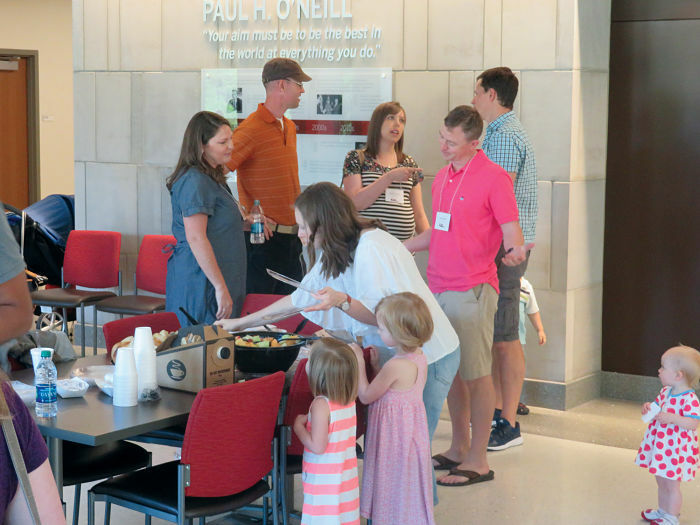 We hosted a reception in the new O’Neill Graduate Center as part of a weekend of activities, tours, and other events organized by the class. It was great to see familiar faces, meet families, and catch up on careers. Lori Hallal, MPA’06, of Louisville, Ky., passed away on March 10, 2017. She was the fiscal administrator with the Louisville Metro Government at the time of her death, after a distinguished career in local government management. Mark S. Miller, BSPA’79, of Connorsville, Ind., passed away on June 21, 2017. Mark was a member of the Lambda Chi Alpha fraternity. David Welch, MSES/MPA’01, PhD’07, of Chapel Hill, N.C., passed away on July 4, 2016. At his most recent position as the director of the Plant Conservation Program at the North Carolina State Department of Agriculture, he managed the acquisition and stewardship of thousands of acres of land from the North Carolina mountains to the coast for the preservation of endangered native plants. Professor Al Lyons died in March, 2017 at the age of 66. He had taught at SPEA since 2005 and was appointed as a full-time lecturer in 2013. Dr. Lyons was teaching and advising students until just weeks before an illness claimed his life. During his time at SPEA, he directed numerous management courses with a particular focus on nonprofit management and social entrepreneurship. He also directed the Nonprofit Leadership Alliance program and played a major role in developing the undergraduate major in nonprofit management and leadership. Dr. Lyons was deeply involved as a participant, consultant, and advocate for Bloomington-area arts and community groups. Professor Tom Simon died in July, 2016 at the age of 57. He had over 35 years of experience working with complex environmental ecosystem issues evaluating anthropogenic impacts on aquatic assemblages. His experience included 25 years of government service and many years as an adjunct instructor at SPEA. 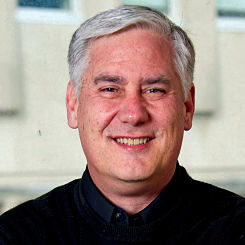 Dr. Simon mentored students in IU’s Sustainability Scholars program. Dr. Simon was an active member of his church and coached youth sports in Bloomington.